Eid Mubarak! The sighting of the new moon marked the end of Ramadan; which is Eid Al - Fitr, the first day of the month of Shawwal, the 10th month of the Islamic calendar. According to our calendar here in the U.S., it's August 19th. Eid means reoccurring happiness, or return; and Fitr means nature or original. Therefore, at the end of every Ramadan, scholars believe we should be more in touch with our nature, our original selves. Many Eid celebrations are taking place all over the globe as the Muslim world celebrates 30 days of fasting, prayer and reading of the entire Holy Qur'an. For the past five years, Sister Nisa Islam Muhammad, along with a beautiful team of Muslims, has led the Ramadan Tsunami Prayerline. During the holy month, the call started daily at 5am EST and featured guest speakers representing various Islamic schools of thought. I was so honored to be invited to speak on Day 18 alongside such giants that I greatly admire. The Honorable Minister Louis Farrakhan has been a featured speaker on the call the past few years and he blessed us with beautiful words on the first and last ones. You can listen to all 30 archives by clicking: http://soundcloud.com/ramadan-prayerline or http://wtbji.com/. 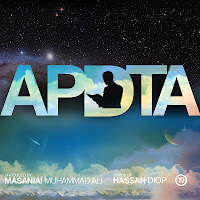 In Case You Missed It: Click the image below to check out my Ramadan blog "The Intersection: Ramadan, Rituals And Rhymes…APDTA!"